Update: It seems like this might be a targeted offer. Everyone on our team who tried it had success, but a few people on Twitter can’t get it to work. In any event, there’s no harm in trying to activate it. 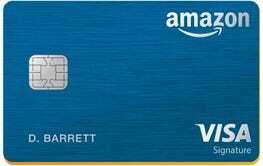 Offering 5% back on all Amazon and Whole Foods purchases (or 3% for non-Prime members), the Amazon Visa is a card worth keeping for any semi-frequent Amazon shopper, but it’s generally not the most rewarding card out there for other types of purchases. But from now until April 15, you can activate a special bonus to earn 5x points per dollar on most of your monthly bills, which is pretty much unheard of, especially for a card with no annual fee. 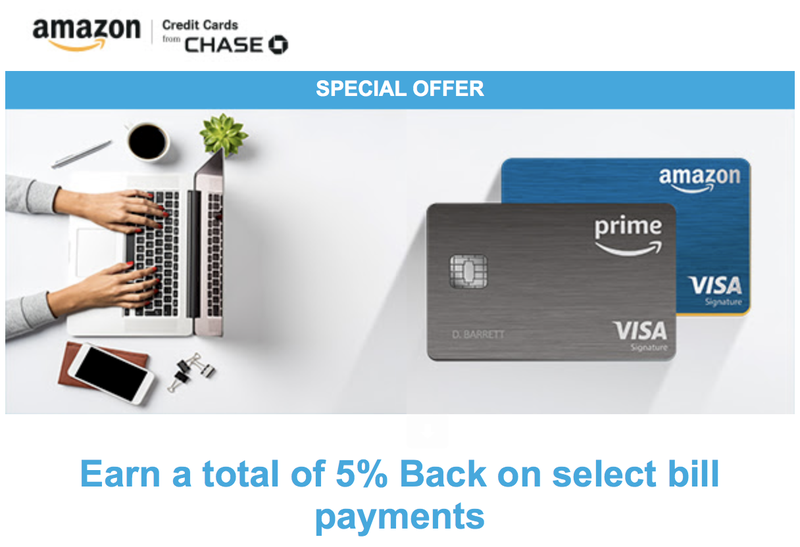 Just visit this Chase sign-up link, provide the last four digits of your Amazon card number along with your last name and zip code, and you’ll be enrolled. The bonus will automatically apply to electric and water bills, your phone bill, your cable and internet bill, and even insurance premiums (car, renter’s, homeowner’s, and even health insurance should be eligible), with a maximum of $10,000 in purchases for the promotional period (or $500 in cashback). 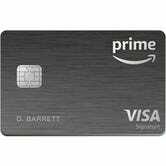 The points will automatically be added to your Amazon account, and can be applied to purchases at a rate of $.01 per point, but you can (and probably should) just use them to apply a statement credit on the card as well, meaning they’re as good as cash.